Tragically the recent Woolsey Fire in California killed three people, while also destroying many properties. Sir Anthony Hopkins is one of a number of celebrities who experienced the grace of God during this disaster. 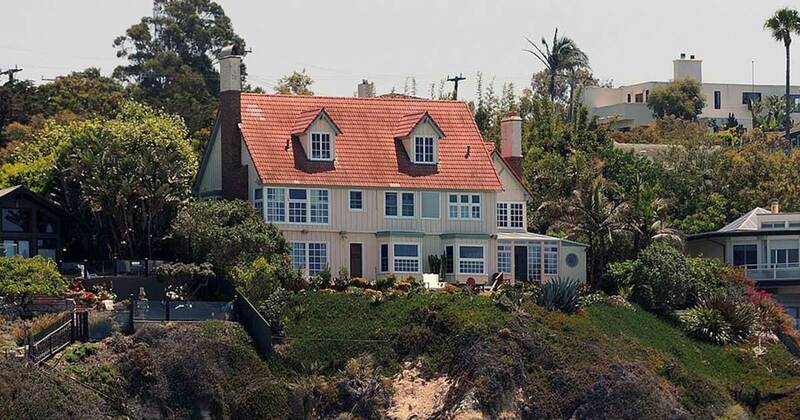 His house in Malibu, California was miraculously untouched by the devastating fire that destroyed surrounding homes. 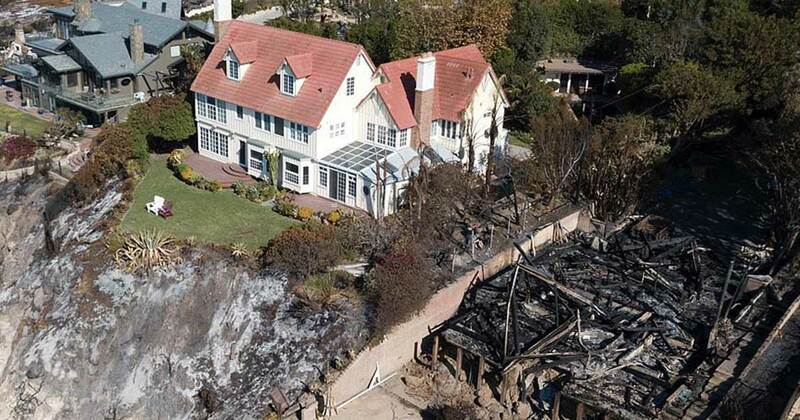 You can see in the picture above that his beachfront property remained standing even though damaged properties surround it. Sir Anthony’s next door neighbor lost everything when their entire property was consumed by the flames. The Hopkins home was surrounded by beautiful vegetation before the wildfire which is now gone, but his house looks like the same. It seems like God was protecting it. Sir Anthony has often testified about his journey from atheist to a believer. He was once opposed to God and a heavy drinker, but his life changed when he encountered God after an Alcoholics Anonymous meeting. God has been faithful to Sir Anthony, despite his past and continues to display His works and wonders in his life. He has performed a miracle that only He could do, protecting his life and even his property. 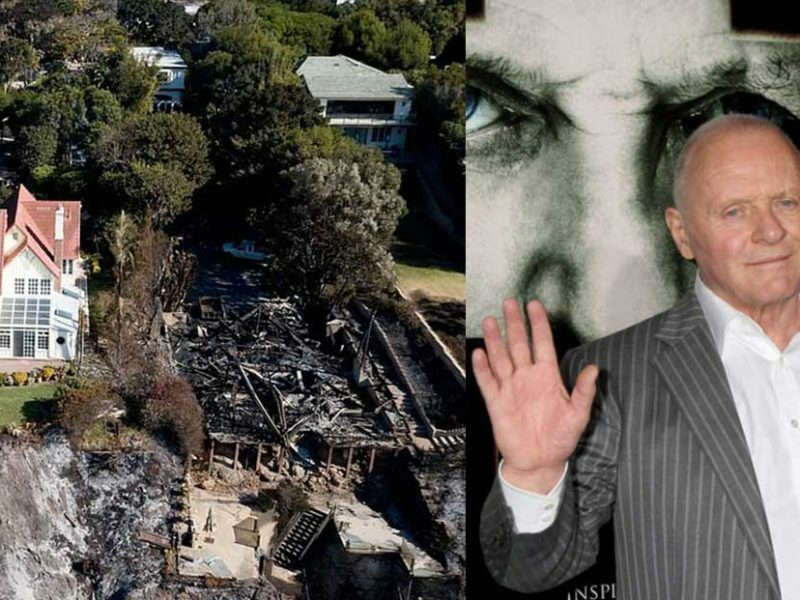 Aside from Sir Anthony, there are other well known Christians who have experienced miracles during the California wildfires. These include Kevin Sorbo, Kirk Cameron, and Brenda Epperson. All have testified about the goodness of God during this tragic event. God moves in ways we cannot see and even though this unexpected tragedy happened, let’s continue to pray for those people who are severely affected by the wildfires especially those who lost their loved ones. Let’s pray that God will give them the strength to rise up again in the midst of such great loss. It may take a long time to restore everything, but we know that the God we believe in is the God of restoration and He can make everything new in His time.